Renew your registration online today! Click here to renew your registration now! We've been making your tag & title experience Hassle Free for over 15 years. I'm Beth Hall -- owner & operator of Tag & Title Services of Maryland-- and I am committed to making your life a whole lot easier. Whether you grew up in Maryland and you've worked here for years (like me), or you're just moving to town, we make getting on the road quick, easy, and completely painless. There's no need to go to the DMV; we are fully trained and licensed to handle all your tag, registration, and titling needs. We can issue new permanent registration & shiny new tags for your newly purchased vehicle. Get your license plates for your motorcycle, register your boat with the Department of Natural Resources (DNR), help with Maryland State Inspections, new trailer tags and more. And you won't spend a single minute chasing down paperwork, waiting on hold listening to terrible elevator music, or tapping your foot, waiting for your number to be called at the DMV. Moving out of Maryland? We can easily check one more thing off your moving checklist! 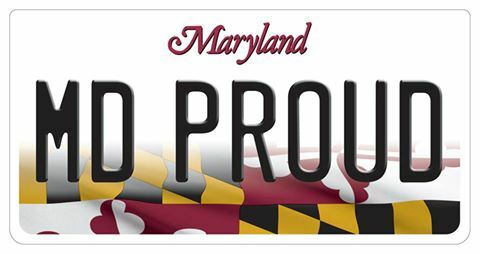 We can help you return your MD license plates, obtain a same-day duplicate title, transfer a title to a new owner, and we can even help remove flags and fines from your DMV record. You’ll be in and out in 15 minutes, and off to your next adventure! Need something notarized in a hurry? We've got you covered there too! Our list of service offerings goes on and on. Click here to see our entire menu of services. We are REAL HUMANS, and we are always available on YOUR schedule. We are open 7 days a week for your convenience. You can instantly book your appointment online, give us a call, or send us a text message at (833) 824-6363 and we’ll respond right away. You can even chat with us via Facebook Messenger! Feel free to stop by our local office at 24 Old South River Road in Edgewater, MD. We are located right next to Silver Star Service Center, and we're are ready and waiting to serve all your vehicle, trailer, and vessel registration needs. Here at Tag & Title Service of Maryland, we take pride in always providing friendly, helpful service, and we are committed to patiently answering any and all of your questions. Think you have a tricky vehicle situation? We don't think so! At our Auto Tag Agency, we have a combined 16 years of licensed DMV experience, and we can handle it all. 7 Days a week, we offer lots of other helpful services too. We make it quick, easy, and painless! We are your direct connection to the Maryland Department of Motor Vehicles (DMV) and customer service is our top priority! In-person, physical delivery, and mail delivery options are available to fit your needs, your busy schedule, and your to-do list--all at a low price that'll make you (and your wallet) very happy. Why Tag & Title Services of Maryland? We designed our schedule with you in mind. Working late? Only available on Sundays? No problem. We are open 7 days a week with convenient hours to make your life easier. Just give us a call or click here to book an appointment online, and we'll make sure you get everything you need, at a time that's most convenient for you and your family. We are active members of the Chesapeake Bay Foundation, and we take pride in helping to keep our waters clean, our ecosystems healthy, and our region's wildlife thriving. You live, drive, work, and play here, and so do we. We're proud to call Maryland home. That's why we support local entrepreneurs & small businesses, we get involved in projects that better our community, and we take good care of our neighbors. Whether you need to notarize a legal document, renew your motorcycle registration, get new license plates, or refinance your old car loan, there's no situation we can't handle. Owner, Beth Hall has the experience and friendly know-how to guide you through even the most unique situations.